GDPR is right around the corner, so it’s time to prepare your personal data requests. If you live in the European Union, tech companies have to comply with personal data requests after May 25th. And there’s a handy website that helps you do just that. Some companies, such as Facebook, LinkedIn, Twitter, Google, Tinder and Snapchat have made that easy as they have created a page on their website to download a zip archive with all your personal data. But it’s worth nothing that your archive doesn’t necessarily include all data about you. For instance, Facebook tracks your web and location history as much as possible. But you won’t find any of that in the archive. The download tool is mostly about getting a copy of your posts, Messenger conversations, photos and more. For most companies (including Amazon), you’ll have to email them yourself. My Data Request has created handy email templates. You just have to copy the message, put your name and contact information and send the email. The email addresses are listed on My Data Request’s site too. Some companies make it even harder than that. I haven’t checked all guides, but you have to send a letter to Uber to get your data for instance. For HSBC clients, you have to call the company. 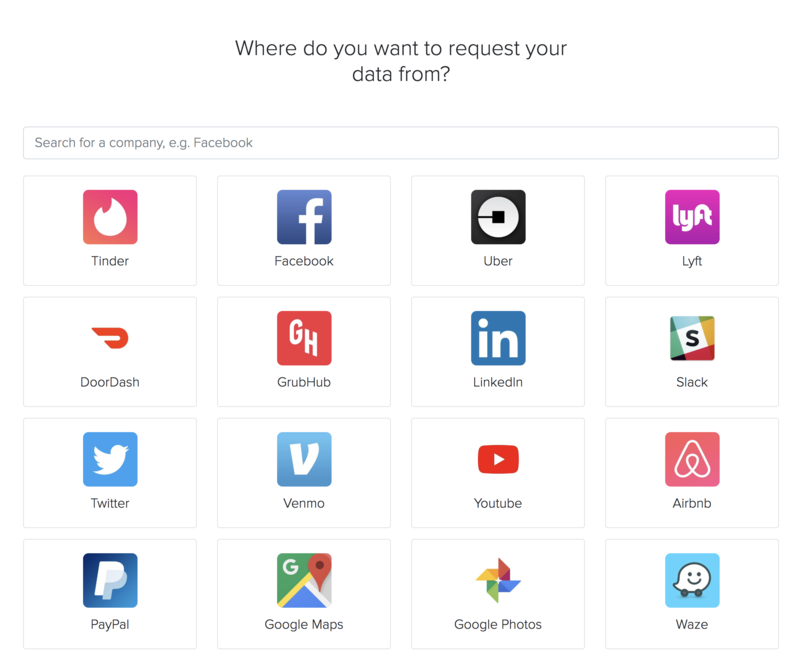 You don’t have to connect with third-party APIs or give access to your personal account to request your data. It’s just links and text, and an interactive way to learn about data requests.